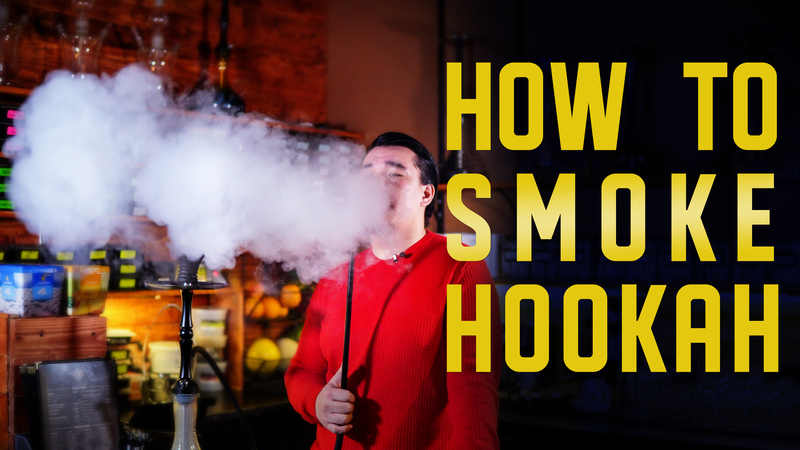 Today we have a #basicstutorial on how to smoke a hookah. We understand that everyone’s liking and preferences of a hookah smoking is different, however further information would be a reflection on how we recommend people to smoker hookahs. First of all, we use Amy Deluxe hookahs which allows an increased air flow compared to other hookahs such as Khalil Mamoon. This creates much more smokier hookahs and allows to take open inhales. We recommend smoking hookah with steady deep inhales and exhales. We have seen a lot of people smoking a hookah as if they were smoking a cigarette. It is improper way of smoking a hookah. Cigarettes are pure tobacco which burns and usually smoke goes through a dedicated filter, it is tightly packed and does not allow for a deep inhale. This is how cigarettes are smoked, however hookah is not a cigarette and ways of smoking are dramatically different. Deep inhales and exhales are preferred way of smoking a hookah. Hookah tobacco is not weed and does not give the same sensation as when people smoke weed, so there is no need to hold the smoke in longs to let the elements get in the system. Hookah is about esthetic smoking and meant to be blown out right away. Overall, it is simple inhaling of hookah tobacco vapors through a water pipe, so the way the hookah is meant to be smoked is way different than the alternatives mentioned above. Why deep inhales? While inhaling at a steady and deep rate, air gets through the bowl with charcoals and tobacco, essentially calling the tobacco and the bowl down. If the pulls are not deep enough and mostly on the shorter side, the head of the hookah overheats and causes burning of tobacco. As we mentioned before, those just our recommendations on smoking a hookah. People enjoy different ways of smoking hookah so the decision is totally yours. Overall, it comes down to heat management. Proper heat management would enhance your experience and you will avoid harsh taste while smoking if you have done everything properly. Stay tuned for the upcoming videos and let us know what you want to see next. Thanks for watching and supporting MOJO Hookah Lounge.